Find out if AA Pet Insurance made it into our list of the top 10 pet insurance providers for dogs. What types of pet insurance does the AA offer? Does AA pet insurance cover dental treatments? Does AA pet insurance cover pre-existing medical conditions? How much does pet insurance from the AA cost? Are discounts available for AA pet insurance? How to make a claim on AA pet insurance? This is a Lifetime policy with £5,000 of vet fee cover (including £500 for complimentary medicine, £5,000 for cruciate ligament, £1,250 for CT/MRI scans and associated costs, £5,000 for dentistry, as a result of accident and injury, and £100 for special diet), £1,000 for death of a pet, £750 for emergency boarding, £2,000 for holiday cancellation, £750 for loss by theft or straying, £250 for advertising and reward, £500 for accidental damage, £1m for third party liability (dogs only) and £2,000 for overseas travel extension. This policy includes the same levels of cover as Gold Plus, except it is not a lifetime policy. This means the policy offers £5,000 of vet fee cover per condition and does not renew every year. When the £5,000 has been spent on one specific condition, any further treatment for that condition will not be covered. This is a lifetime policy with £3,000 of vet fee cover (this includes £300 for complimentary medicine, £3,000 for cruciate ligament, £750 for CT/MRI scans and associated costs, £3,000 for dentistry as a result of accident and injury and £100 for special diet), £250 for death of a pet, £250 for emergency boarding, £250 for holiday cancellation, £250 for loss by theft or straying, £100 for advertising and reward and £2,000 for overseas travel extension. Again, this policy includes the same level of cover as Silver Plus, but it is a per-condition policy, not lifetime. This is a per-condition policy. It comes with £1,000 of cover for vet fees (this includes £200 for complimentary medicine, £500 for cruciate ligament, £250 for CT/MRI scans and associated costs and £1,000 for dentistry as a result of accident and injury) and £1,000 for overseas travel extension. This is a lifetime policy. It offers £2,000 of cover for vet fees, as a result of an accident only (this includes £250 for complimentary medicine, £500 for cruciate ligament, £500 for CT/MRI scans and associated costs and £2,000 for dentistry as a result of accident and injury). All policies include £1m for third party liability (dogs only). A £100 excess fee applies to all claims (£250 for third party liability and no excess fee for accidental damage). For pets over the age of 6, an additional 20% co-payment is required for all vet fee claims. For all levels of cover, there is a 24 hour waiting period for claims resulting from accidents, and 10 days for claims resulting from illness. Accidents and illnesses which occur within this time period will not be covered. See how the AA compares to other providers on our list of the best pet insurance companies. Does AA pet insurance cover dental treatment? All AA pet insurance policies include cover for dentistry as a direct result of an accident or injury. Dental treatment as a result of illness is not included in any of the policies. No. You may still be able to cover your pet with AA if it has pre-existing conditions, but any illness, injury or symptoms your pet had before the start of the policy will not be covered. 3-year-old Staffordshire Bull Terrier living in Milton Keynes: Gold Plus - £33.58; Gold - £27.29; Silver Plus - £26.70; Silver - £21.04; Bronze - £16.01; Accident Only - £6.61. 5-year-old moggie cat living in Milton Keynes: Gold Plus - £10.73; Gold - £9.30; Silver Plus - £8.38; Silver - £7.27; Bronze - £5.80; Accident Only - £4.05. 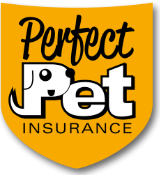 We couldn’t find discount codes for AA pet insurance on third party websites, but the company does offer 10% off their pet insurance for their existing members. On reviewcentre.com, AA pet insurance has 1.2 out of 5 stars, based on 5 reviews. We couldn’t find any other reviews for AA pet insurance, but the company itself has 1 out of 5 stars on Trustpilot, and a score of 1.8 out of 10, giving it a rating of Bad (based on 49 reviews). On reviews.co.uk, the AA as a company has a rating of 3.8 out of 5 stars, based on 316 reviews. Seventy-two percent of customers who left reviews would recommend the service. On Smart Money people, the company also has 3.8 out of 5 stars, based on 21 reviews. Independent financial researcher Defaqto rated the AA’s Gold Plus policy as 4 Star, the company’s Gold, Silver Plus and Silver policies as 3 Star, their Bronze policy as 2 Star and their Accident Only policy as 2 Star for dogs and 1 Star for cats. You can make a claim on the AA’s website, where you will also be able to track its progress. Alternatively, you can download the claim form and complete it by hand. You can also make a claim over the phone by calling 0330 102 5745, Monday to Friday 8 am to 9 pm, Saturday 9 am to 2 pm. The AA says that claims are usually processed within 5 working days of the date they are received. If you require any further assistance, you can contact the AA’s customer helpline on 0800 294 2713 Monday to Friday 8 am to 9 pm, Saturday 9 am to 2 pm. The AA is best known for its car breakdown service, but it offers various types of insurance products, including car, home and travel. The company also offers other financial services, like credit cards, loans and mortgages. Check out our list of the best pet insurance to compare cover.